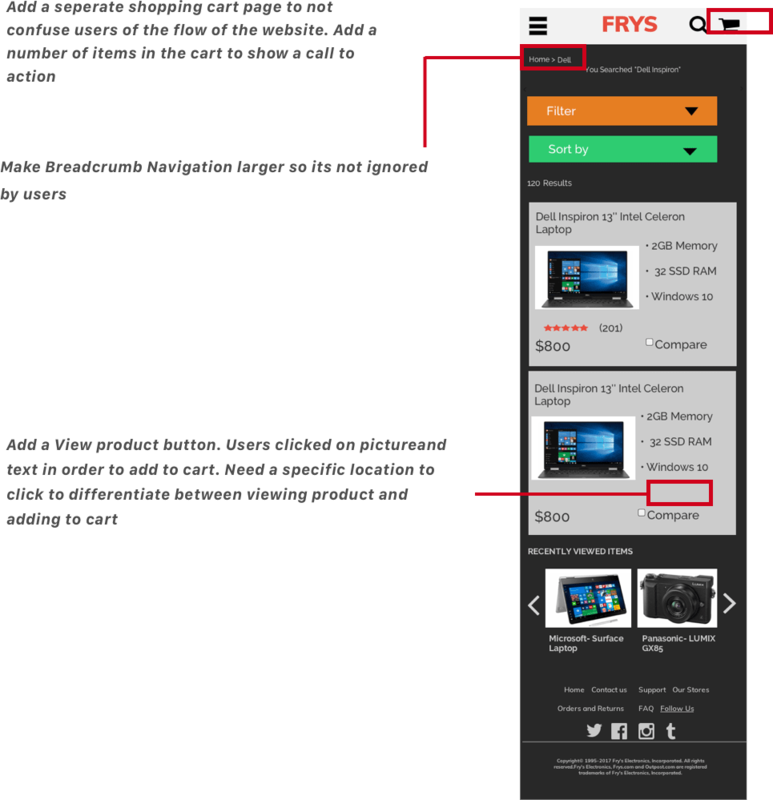 Like many established E-commerce brands out there, Fry's Electronics website and mobile site are outdated and lacking intuitive usability. 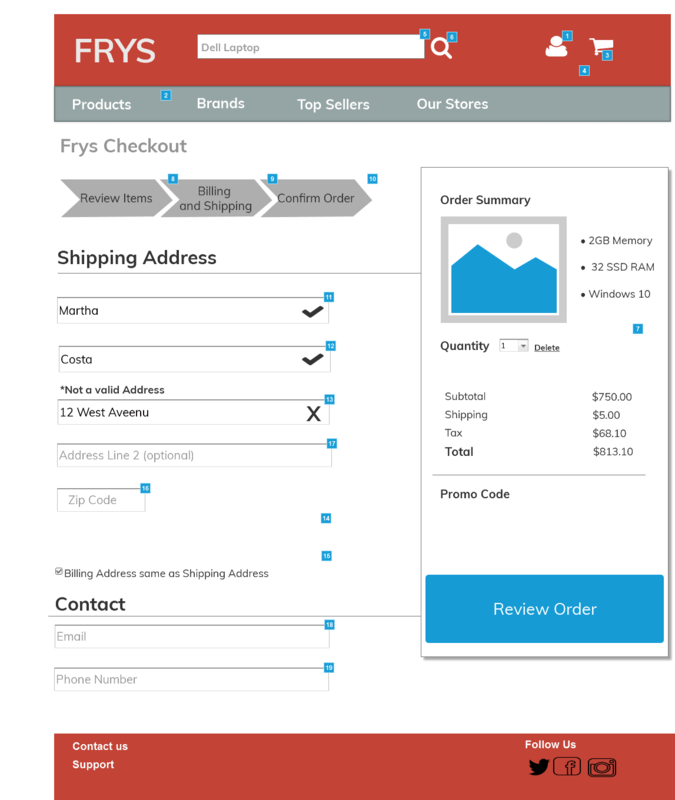 Based on the pain points described by users and design heuristic evaluation, wireframes were made on Axure RP. There was particular emphasis made on navigation, locating products, and making the check out process more streamline. 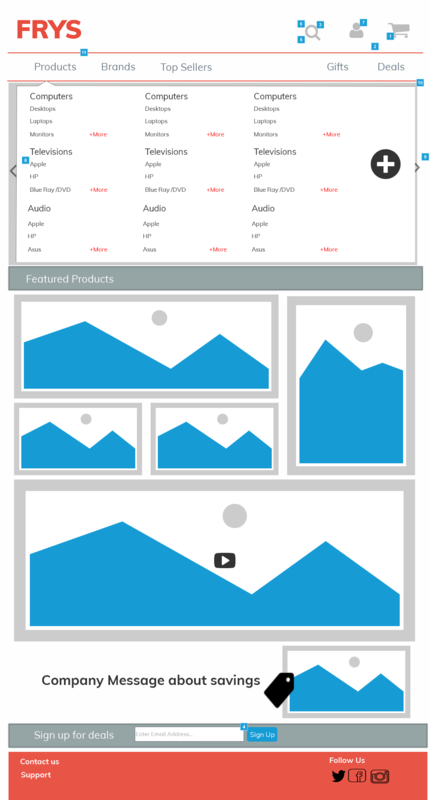 The responsive wireframes were conceptualized based on the previous wireframes, and mainly focused on the homepage, product page, and check out process. Keeping the Navigation simple is a key goal in improving usability. 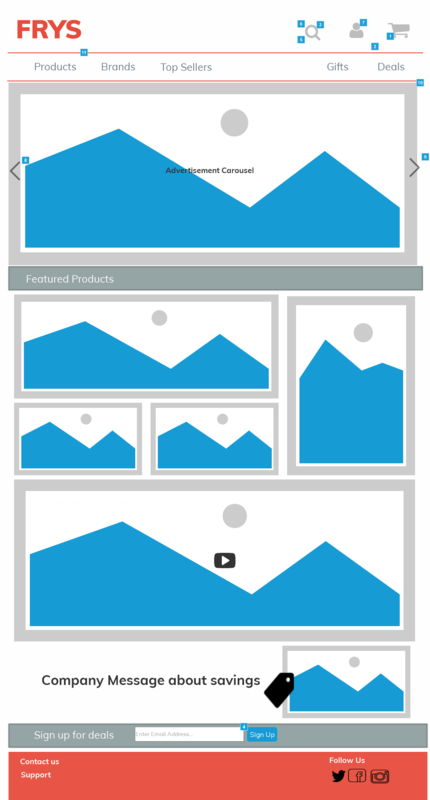 Users should be able to move from the home page efficiently, and should be encouraged to explore effortlessly. 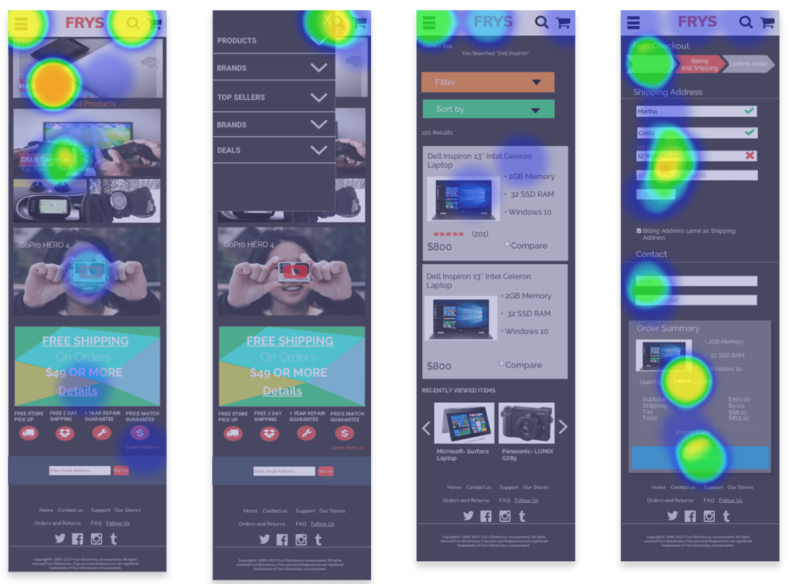 Moving from the home page to product page efficiently makes exploration and increases the likelihood of moving to the checkout page. Understanding the users feelings towards e-commerce sites and attitude towards purchasing products online can be explored with user interviews. Briefly understanding the users lifestyle, experience with the internet, and feelings towards purchasing online through the web and mobile devices can give insite before beginning user task questions. Open the Home page and explore for 20 seconds what are your thoughts? How do you locate products on the homepage? How do you think the filters on the product page would work? Did you find the products clearly or not clearly? Do you understand the filter and sort by? Do you have any questions about the check out page? While users were moving through their tasks, their mouse movements and heat mapping data was being collected using Canvas Flip. 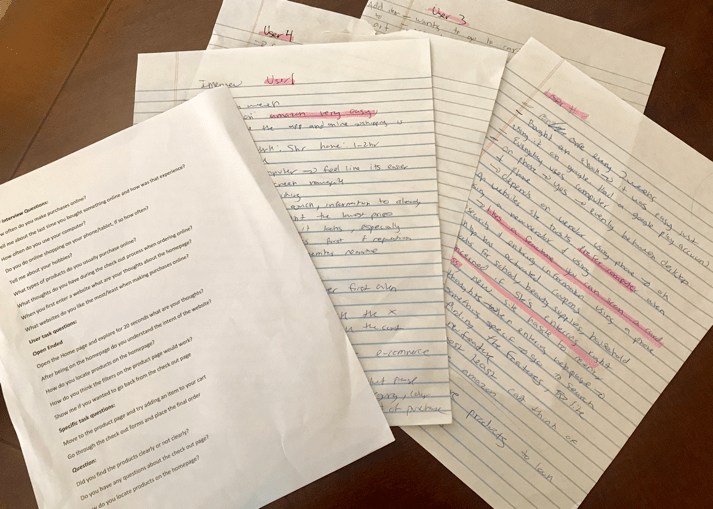 The data collected will provide further foundation and solidify the comments they make regarding their exerperiece moving through their tasks. Based on the heat mapping data and users comments. User 1 gravitated towards the carousel of images first. Bottom of the pages with the email subscriptions were ignored on both pages, indicating they could be insignificant and too small for users. 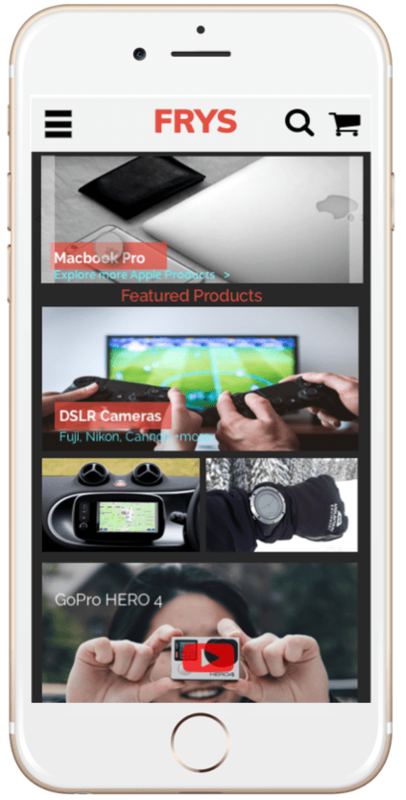 Understands the intent of the app right away, by seeing the shopping cart and hamburger menu. 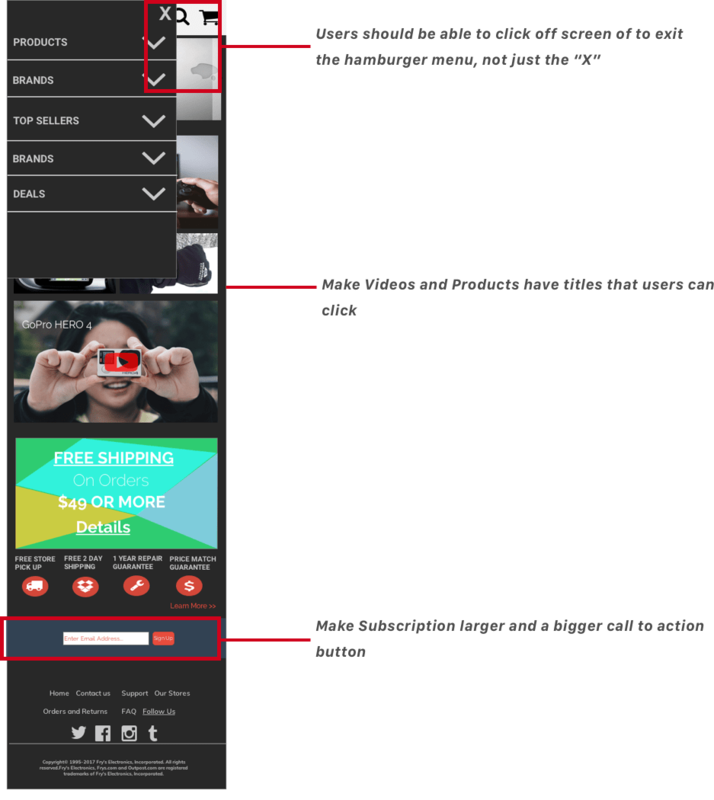 When the hamburger menu opens, user does not click the X to exit out, but instead click off screen instead. While users were moving through their tasks, their mouse movements and heat mapping data was being collected using Canvas Flip. The data collected will provide further foundation and solidify the comments they make regarding their experience using the responsive mobile app.